Alright for this tutorial I will be using the default Pallet Town. 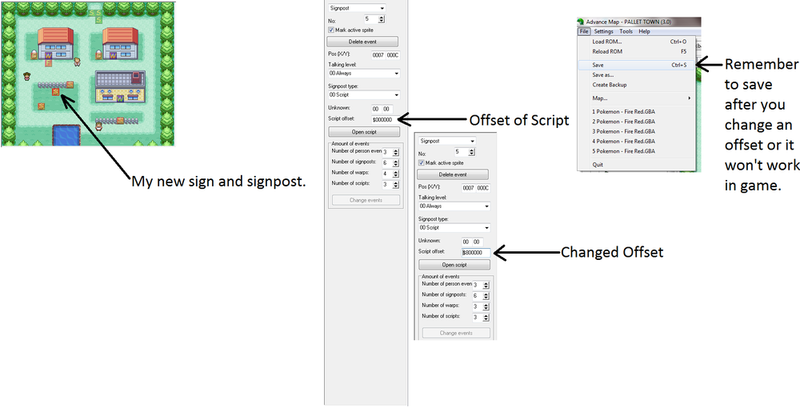 This will tie in a lot with Pokescript which you can learn from the forums here. Now you can see different boxes and sprites. The boxes are Signpost, Warp, Script, and Flying Position. The people ([P] if you didn't show sprites) are Person Events. 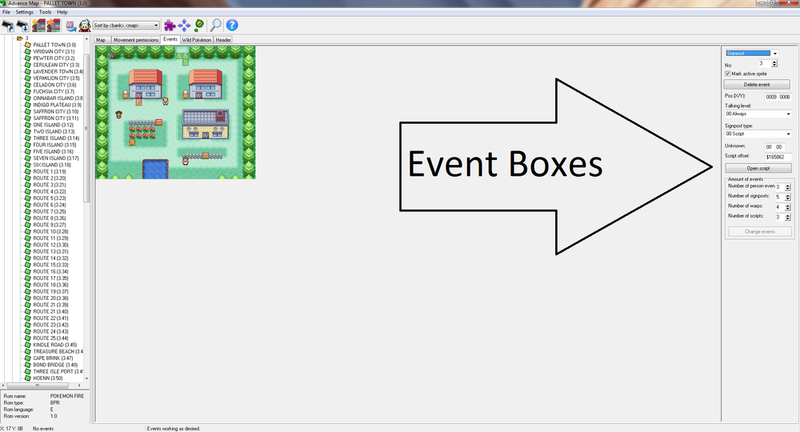 The different boxes all do thier own actions, each of which (excluding Flying Position) uses Pokescript to activate. 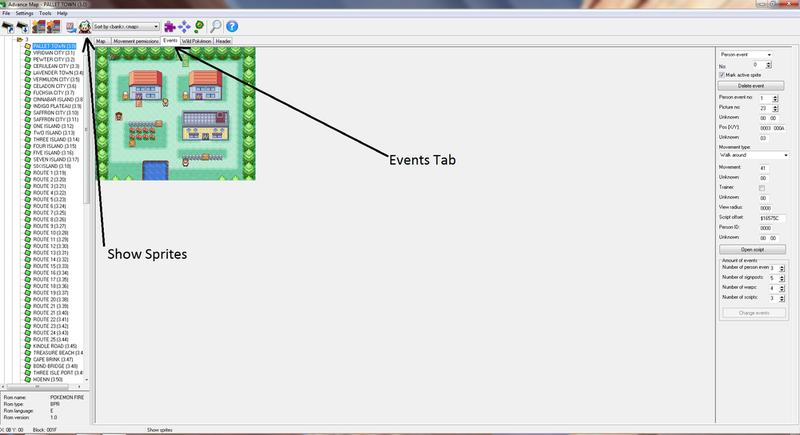 In otherwords, if you want to edit events, learn Pokescript too. We're going to start with a simple "Signpost". We can insert any message script into a signpost offset area and the player will read it when activated. First we need to check the right box with the events in it and change the number of "Signpost Events" from (in this case) 5 to 6 and choose "Change Events". Once you've done this you will see an [S] in the top left of the map. You can drag and drop this onto your sign (You need to make one, read map, and movement permissions to get it perfect).